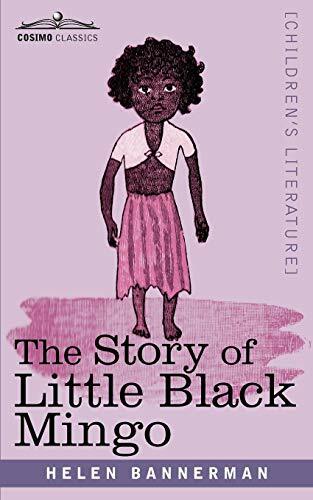 Story of Little Black Mingo is the exciting tale of a little girl who befriends a Mongoose after being kidnapped by a horrible Mugger. With the help of the Mongoose, Little Black Mingo must avoid being eaten as she tries to escape the island where the old Mugger is keeping her. A story of adventure, creativity, and luck, Little Black Mingo has been treasured by children everywhere since it was first written in 1901, and this delightfully illustrated edition brings the tale to life once more for the enjoyment of readers of all ages. Born in Edinburgh, Scottish author HELEN BANNERMAN (1862-1946) spent more than thirty years of her life in India, where she started writing illustrated letters to her two daughters, who were being educated in Scotland. Those letters became the basis for Bannerman's first and most famous book, The Story of Little Black Sambo, as well as nine more tales of clever children overcoming the odds, including Story of Little Black Mingo and Story of Little Black Quibba. By Brand: Hearthstone Publishing, Ltd.